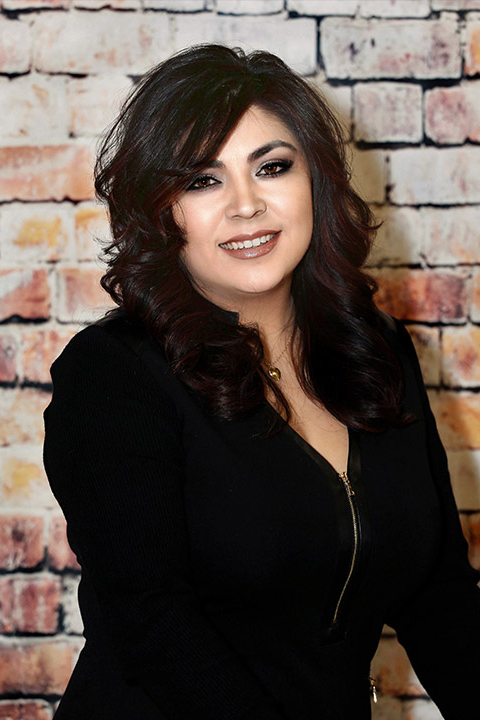 Christina is committed to staying on top of the latest trends and techniques, and is constantly working to expand her knowledge in beauty and hair. Keeping the integrity of a client’s hair is her top priority. Christina also emphasizes great customer service and educating her clients about their hair. She wants nothing more than for her clients to feel amazing and beautiful. Christina loves doing fun projects. One of the many she’s done was makeup for MuyBuenoCookbook.com blogger Yvette Marquez-Sharpnak for her Dia de los muertos celebration.